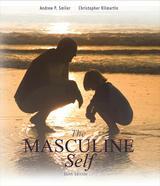 The Masculine Self applies mainstream psychological theory to gendered perspectives on the lives of men and boys, and then covers an ever-growing body of research on "men's issues": emotion, work, aggression, physical health, mental health, sport, and relationships. This new edition summarizes and synthesizes the latest research. Its manageable length makes it perfect for use as either a main text or supplement, and its accessible style and engaging approach are ideal for providing a solid understanding of the material and stimulating classroom discussion.